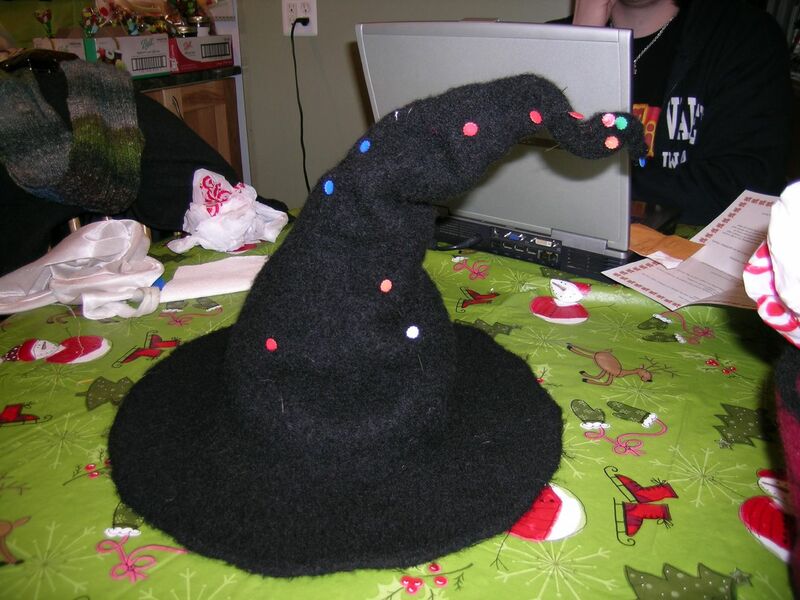 Several years ago I knit a witch hat. 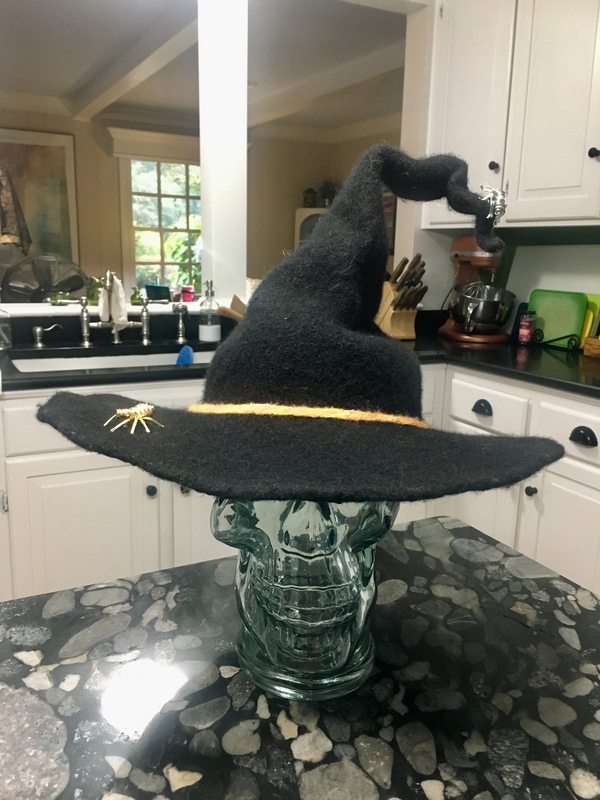 Actually, I knit two witch hats. 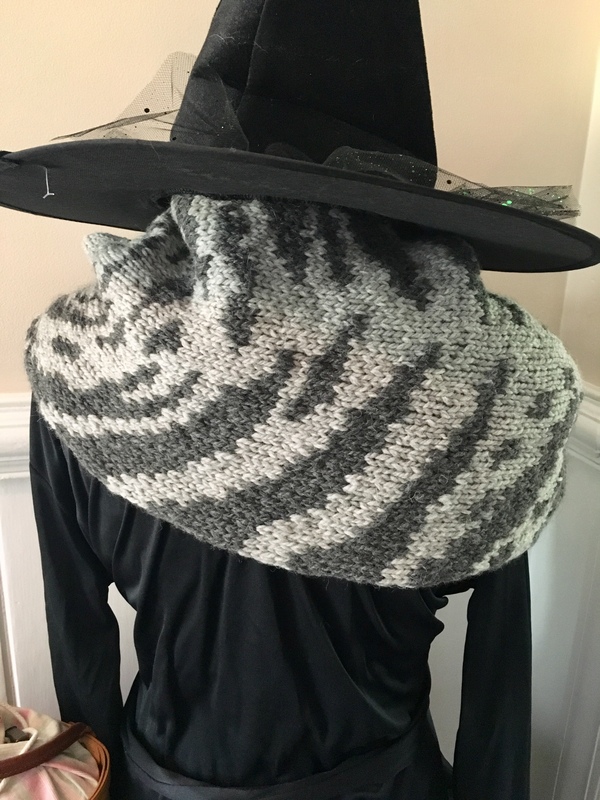 The first I knit one for myself and one for my son in-law, Matt. Matt’s hat is more Gandolf and mine is more Elphaba. This year I decided mine needed some sprucing up. Over the years it had become….well…limp. It was always more floppy than I had wanted and I never really liked that that brim was unstructured. To address the unstructured brim I spent the better part of two days sewing bias tape to the underside by hand. I inserted a 12 gauge black florist wire as I went. 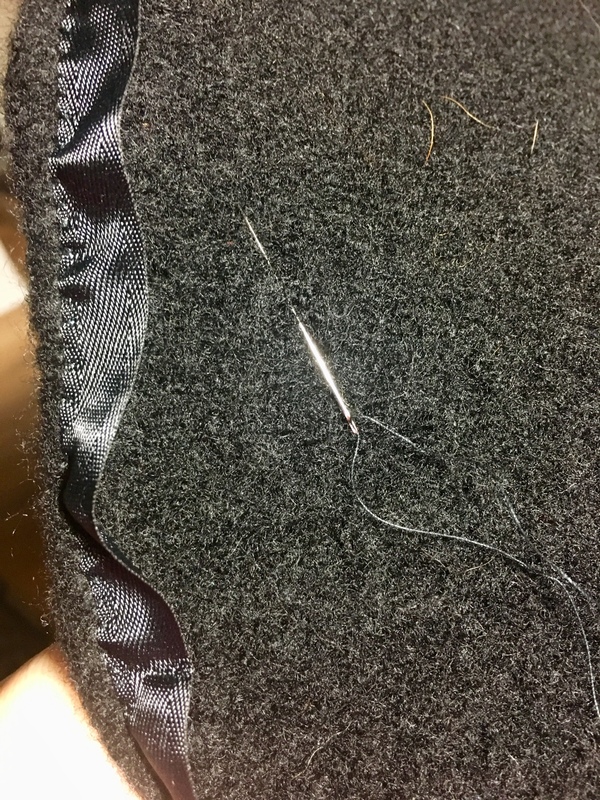 Sewing black bias tape onto black fabric with black thread while inserting black wire is not for the faint of heart. It was worth it though. 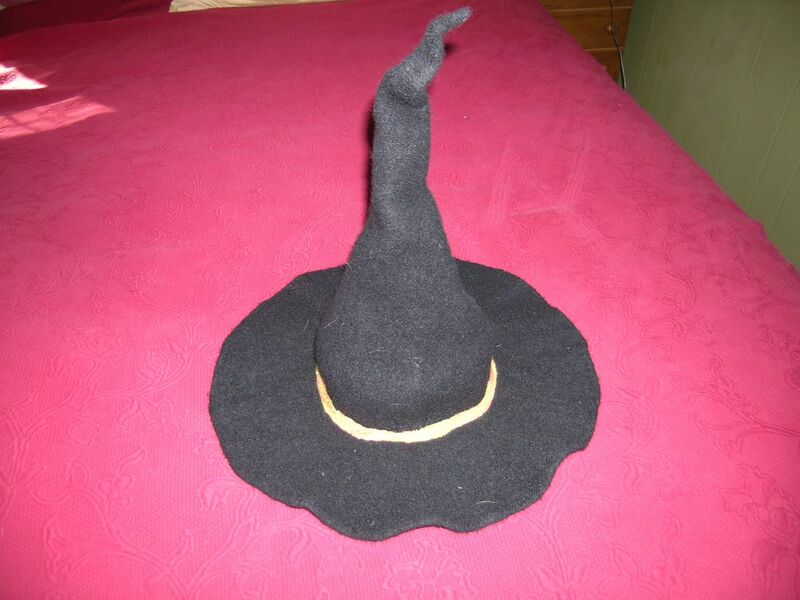 Having been felted again it has shrunk a bit, becoming more comfortable to wear and now that the brim is wired I can shape it to suit my preference. Which I really like. I added a spider pin for a little glamorous panache. To go along with my revamped hat I also knit a flat cat. 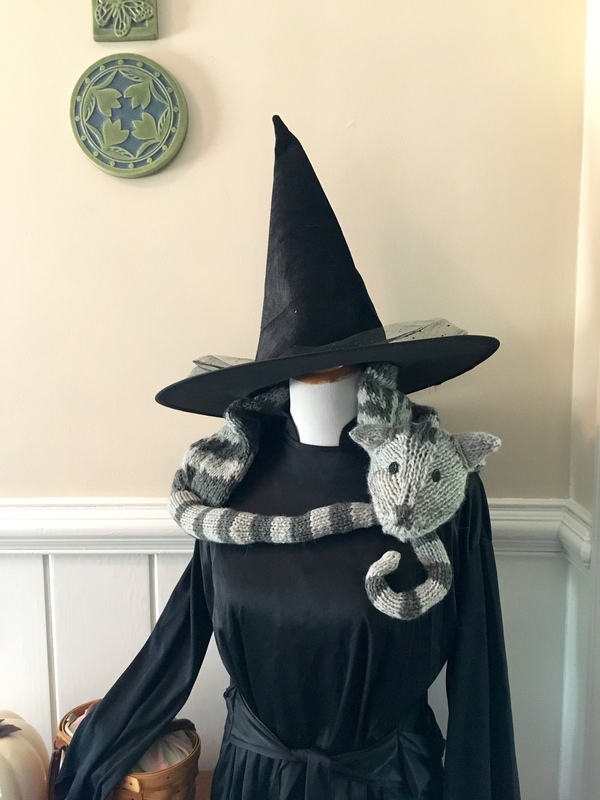 Yes, A Flat Cat, or Professor Meow-Gona-Cowl pattern by Tiny Owl Knits. I am pretty happy with the results on both the hat and the cat. 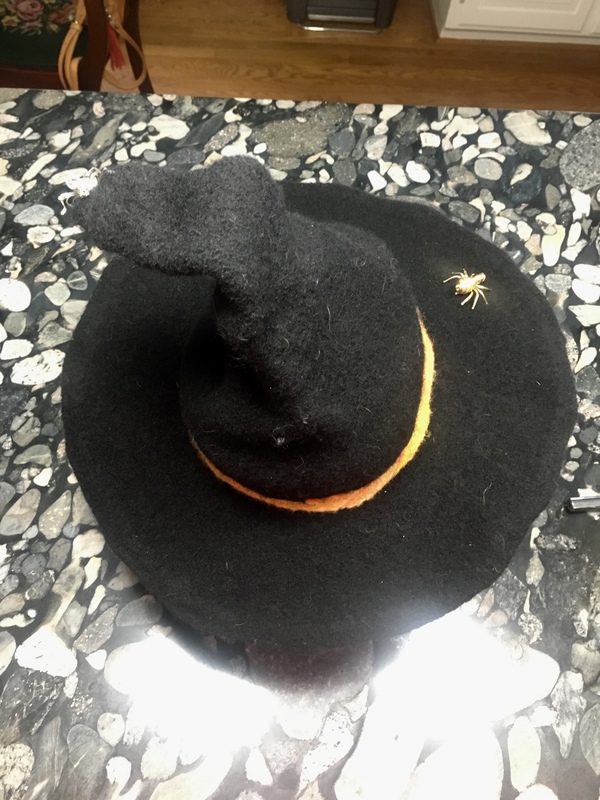 I’ve upgraded the hat and made the cat for my “Witch Costume.” I’ll wear these with all black, don my wand and Sheath at my waist and set up a Witch’s Apothecary Storefront at tonight’s neighborhood Trunk-or-Treat. I’m looking forward to this and have made goody packs for the kids. 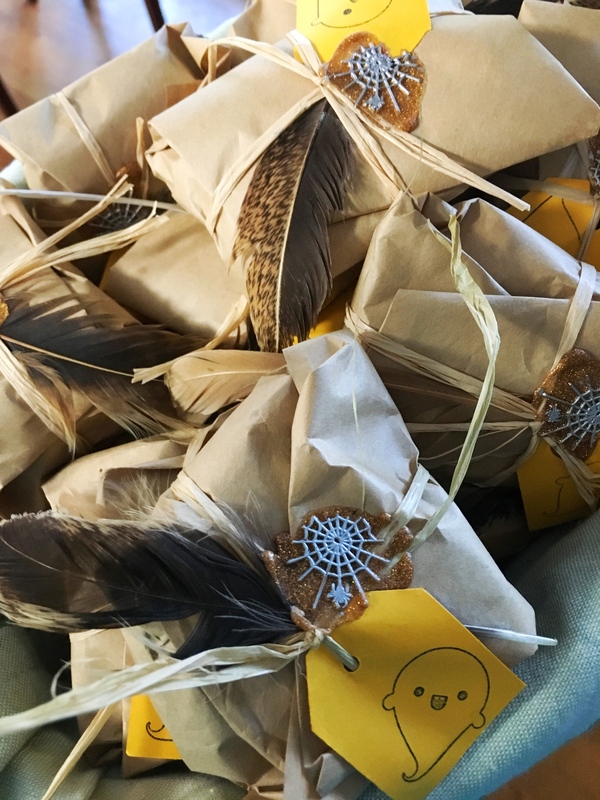 The packs have a 4-5 pieces of candy each and are ‘simply” wrapped in brown paper and raffia. 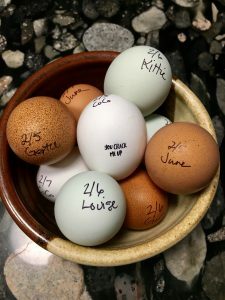 I collecting feathers mostly from our neighbors chickens (as they were molting and mine were not) and washed them. I used a wax seal and then silver Sharpie on the raised bits. The labels have our address incase people want to know which Apothecary they came from. 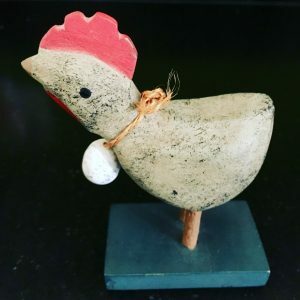 I suppose my vision for these are that if you purchased some things from my apothecary it would arrive via Owl Mail, well at the very least, Chicken Mail. To round out my outfit I’ll wear my black and green striped socks and yarn danskos. I also have a Chatelaine necklace of sorts, made out of assorted things. 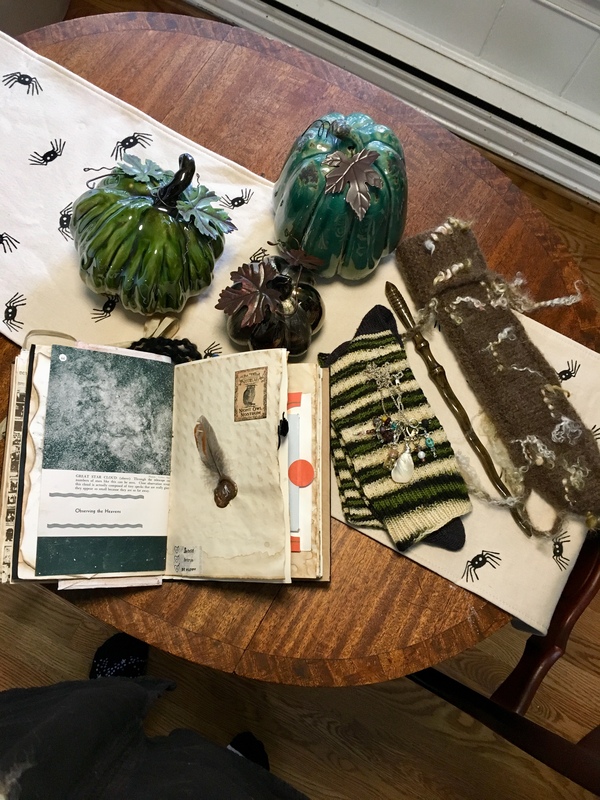 I will carry the Book of Spells I made a few years ago. I did upgrade of few things in this book this week. too. Are you dressing up for Halloween? I think I only dress up as a Witch. I’m going to print some social media icons and those along with butterfly wings will be either Tim or Chuck’s costume. Although it suits Chuck the best, you know he is the social butterfly in this marriage after all.